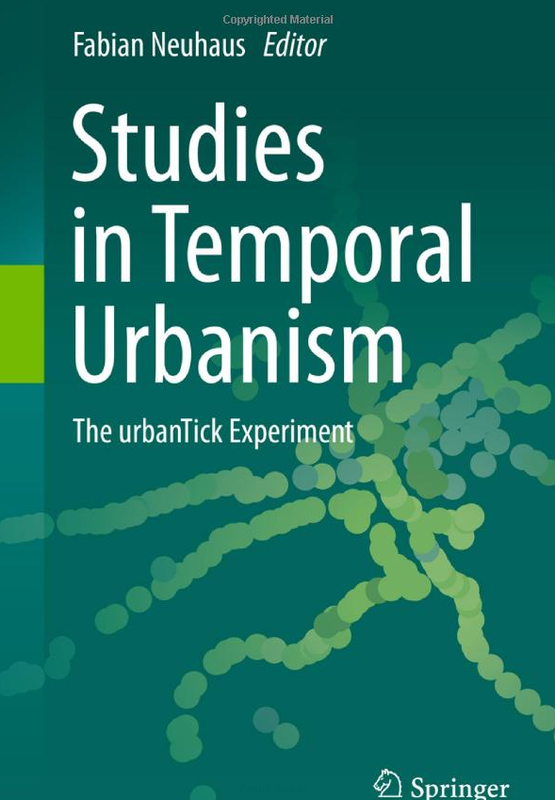 This book is very much about what the name urbanTick literally says, about the ticking of the urban, the urban as we experience it everyday on the bus, in the park or between buildings. It is about the big orchestrated mass migration of commuters, the seasonal blossoms of the trees along the walkway and the frequency of the stamping rubbish-eater-trucks. It is also, not to forget, about climate, infrastructure, opening hours, term times, parking meters, time tables, growing shadows and moon light. But most of all it is about how all this is experienced by citizens on a daily basis and how they navigate within this complex structure of patterns. The content of this book is based on the content of the urbanTick blog between 2008-2010. One year blogging about this topic brought together a large collection of different aspects and thoughts. It is not at all a conclusive view, the opposite might be the case, it is an exploratory work in progress, while trying to capture as many facets of the topic as possible.